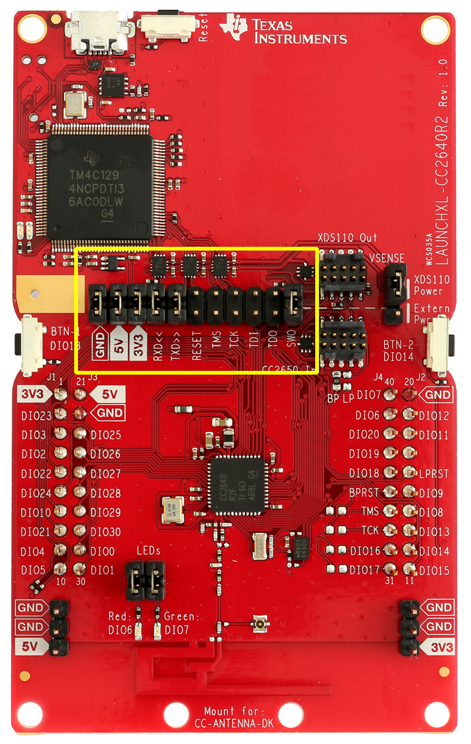 The TI LAUNCHXL CC2640R2 evaluation board does come with an on board debugger which drives the debug signals by default. In order to be able to connect with a J-Link to the CC2640R2 device, the jumper as shown on image below needs to be removed. This page was last modified on 22 March 2018, at 17:35.